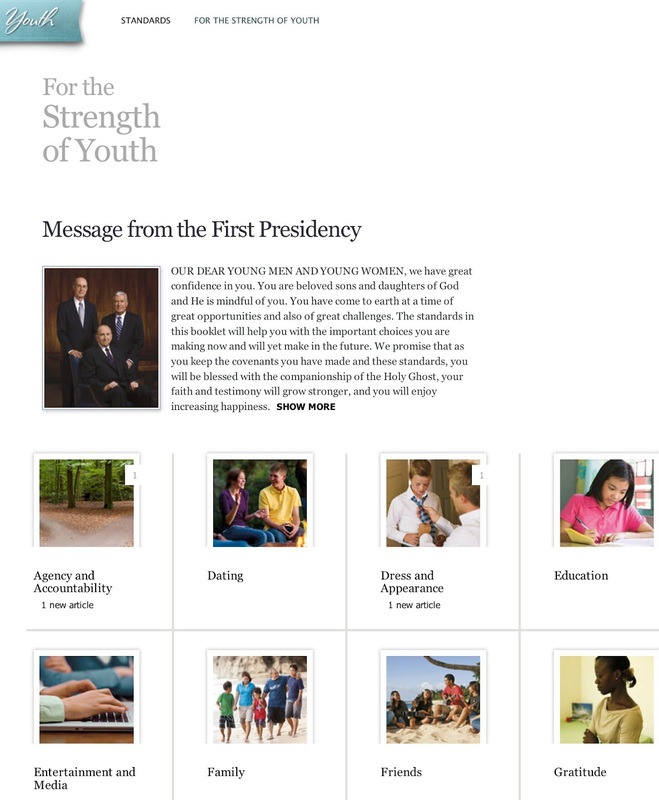 "For the Strength of Youth"
The new Strength of Youth pamphlet has an online interface, as well as the traditional booklet. Take a look at both of them and share this with your kids. The update was published in December 2011 and available early 2012. It includes a few changes. “The standards have not changed, but times have changed,” said Young Women general president Elaine S. Dalton. Some of the updates include "wise use of technology, virtuous thoughts, dating, the importance of gender roles, and preparation for the future." 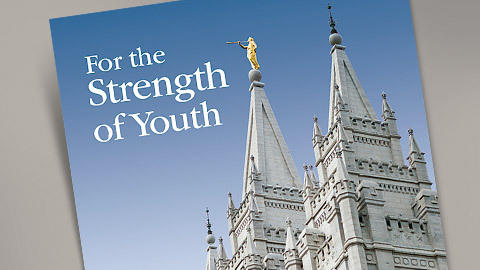 There is more emphasis on following the guidance of the Spirit and preparing for the temple. There is also an addition called "Work and Self Reliance". Emotional Health has been added to Physical Health, and there' more doctrine and questions for pondering. You might take one subject, click on the image, and read the information and articles associated with the topic. It's a great resource and we just need to get it to our kids -- give them this as an assignment for homeschool. I know, we get caught up in math and science and sometimes neglect these important topics.